A wedding is a very special occasion for a bride and a groom. This is the moment that will open the door of a new journey. One of the dreams of a woman is to wear an outstanding wedding gown as her man waits for her at the altar. As a woman we want to look beautiful in the eyes of our beloved groom. This is the moment that the woman feels like a queen. This is the reason why a lot of preparations are done prior to the big day. The bride needs to be magnificent as she says “I do” to the groom during the ceremony. This paved the way to the creation of fascinating, gorgeous, and expensive wedding gowns. Many designers like Vera Wang and Monique Lhuillier are inspired to make splendid wedding gowns, although there are still designers that maintain the vintage look. 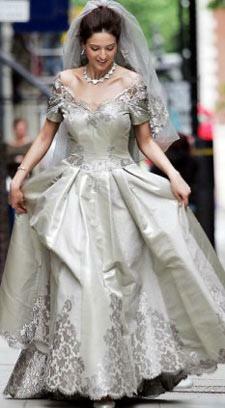 Wedding gowns have become a status symbol. If you wear a very beautiful gown on your wedding day, that could mean you are marrying a well-off man. 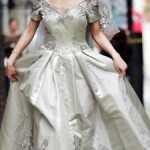 For those who are interested to know the most expensive wedding gowns ever worn by brides, you have to keep on reading. 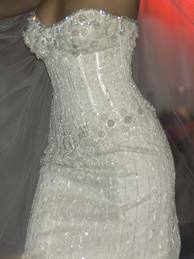 The Diamond Wedding Dress: This gown cost US $12 million. It’s really expensive, huh. It is a product of the collaborative effort of dressmaker Renee Strauss and jeweler Martin Katz. What makes it expensive? There are 150 carats of diamond laced throughout the dress. This dress was unveiled at the premier Luxury Brands Lifestyle Bridal show in 2006. Yumi Katsura: The gown is a product of one of the most famous designers of ready-wear and haute couture bridal gowns in Japan, Yumi Katsura. Cost at US $8.5 million. It features 1,000 pearls, 8.8 carats green diamonds, and a very rare two carat white gold diamond. Mauro Adami: This is a creation of Mauro Adami, an Italian designer. It features a 40 meters fabric sewn with platinum and silk thread. This is really a unique and gorgeous gown. Price is £240,000. See the photos below, Diamong Wedding Dress at left, Yumi Katsura’s Gown at middle, and Mauro Adami’s Wedding dress at the right. They are truly magnificent, right? No matter how much you wanted to wear such creations if you don’t have the means, they will remain stars in the sky-seen but unreachable. To feed your fantasy, you can still find gorgeous but inexpensive gowns out there or you can also use your creativity and design your own wedding gown, including your bridesmaid’s.